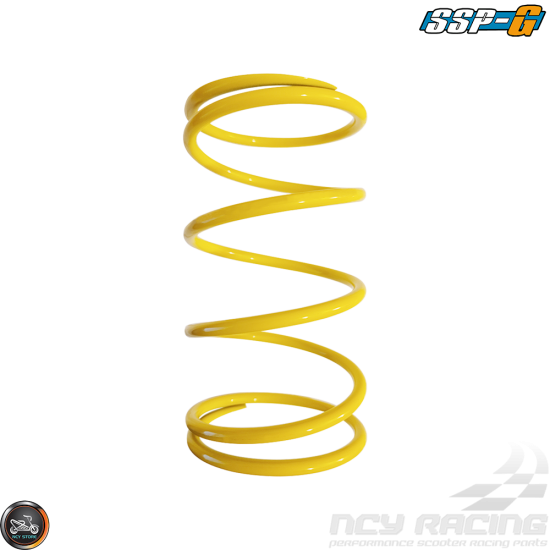 Description: SSP-G Compression Spring aka torque spring do a couple of things. They also determine the rate at which the CVT transmission changes from low to high gear. A 1000rpm spring will go into a higher gear than a 1500rpm spring. Markings on the spring help you identify the strength of the spring, for example, a spring marked 1500 RPM will delay the reaction by 1500 RPM. 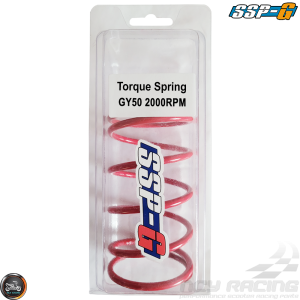 The greater RPM spring will provide you with the greater power. 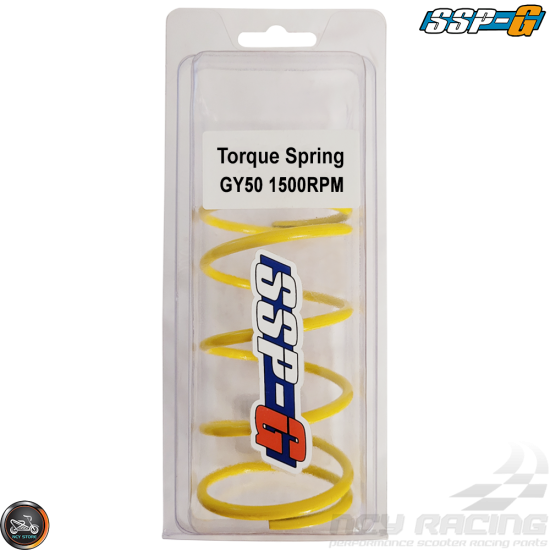 SSP-G counter pressure spring 1500 RPM uses a modified alloy spring providing better resilience and above average strength for 139QMB, Buddy50, RoughHouse, and many another GY6 50cc base engine. Supported Models: NCY CVT KIT (Part# 1200-1171); Honda Dio AF16 AF18E 50; Elite S/SE/SR 1994-2001, Daelim Cordi 50, Kymco Fever/ZX50, SYM DD50, GY6 40QMB 50cc 2-stroke, 139QMB 49cc-50cc 4-stroke, 50QMF 90cc-100cc, GY6 139QMB 49cc-50cc engines, Buddy50, Filly 50, Kymco, QLink, Peugeot, Piaggio, RoughHouse, SYM, TaoTao, Metropolitan GET 2012 & older, Honda Ruckus GET all U.S. Model, and virtually any scooter engine with these measurements. 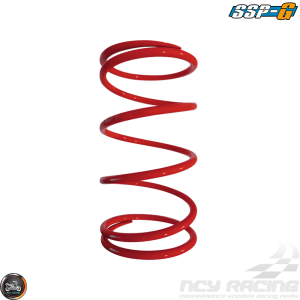 Description: SSP-G Compression Spring aka torque spring do a couple of things.First, they supply the pressure to engage the belt. They also determine ..